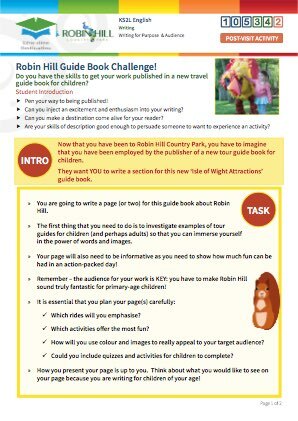 Students write a page (or two) for a guide book about Robin Hill, aimed at children their own age. 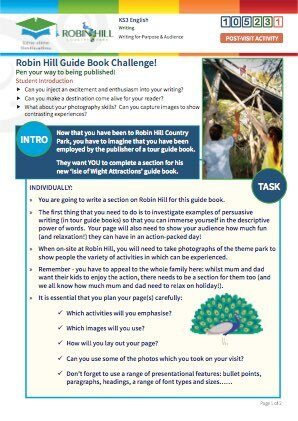 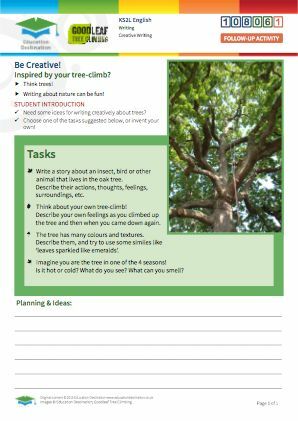 This is a post-visit English resource that engages students with their visit to Robin Hill Country Park. 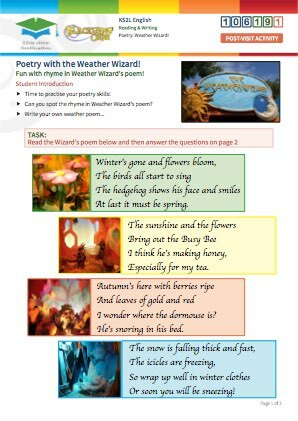 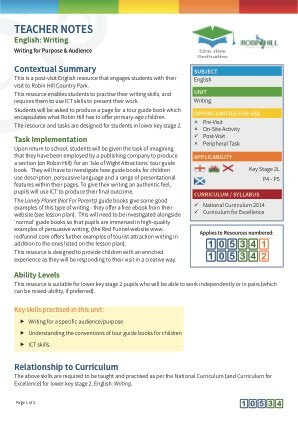 This resource enables students to practise their writing skills, and requires them to use ICT skills to present their work. 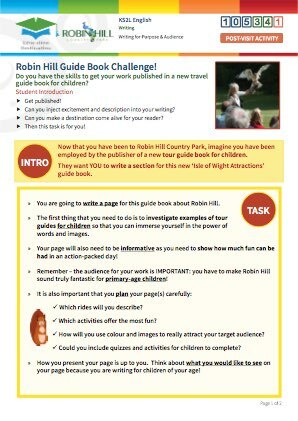 Students will be asked to produce a page for a tour guide book which encapsulates what Robin Hill has to offer primary-age children. 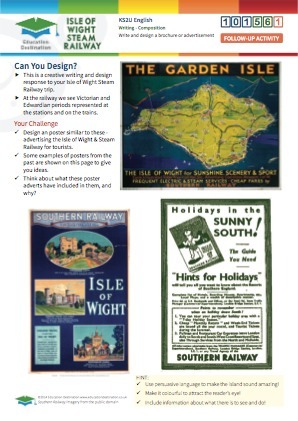 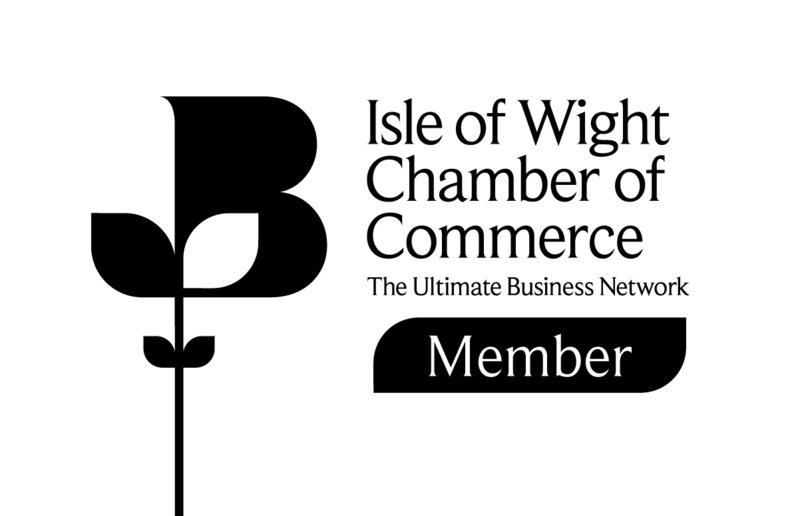 Upon return to school, students will be given the task of imagining that they have been employed by a publishing company to produce a section (on Robin Hill) for an ‘Isle of Wight Attractions’ tour guide book. 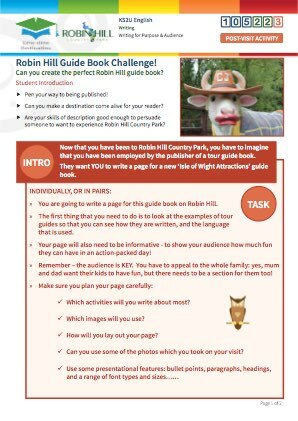 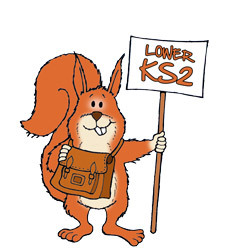 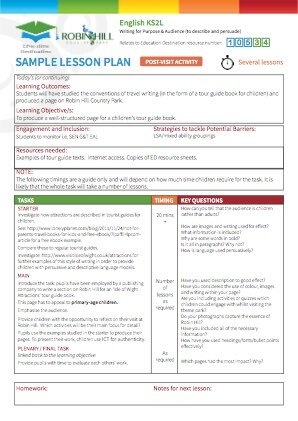 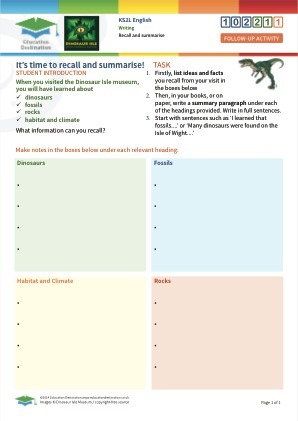 They will have to investigate how guide books for children use description, persuasive language and a range of presentational features within their pages. 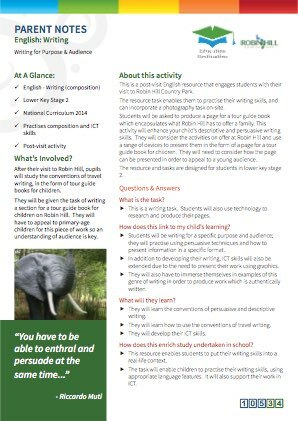 To give their writing an authentic feel, pupils will use ICT to produce their final outcome. 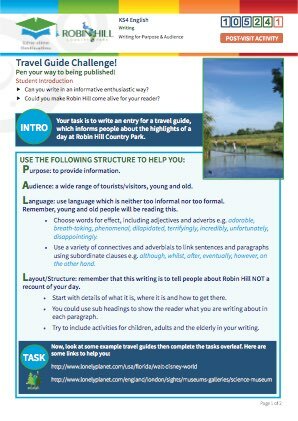 The Lonely Planet (Not For Parents) guide books give some good examples of this type of writing - they offer a free ebook from their website (see lesson plan). 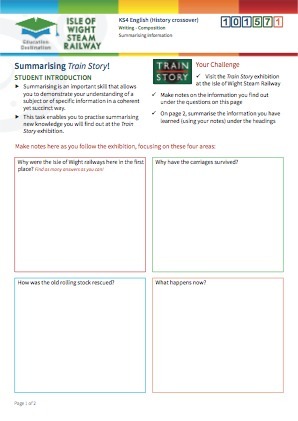 This will need to be investigated alongside ‘normal’ guide books so that pupils are immersed in high-quality examples of persuasive writing; (the Red Funnel website www. 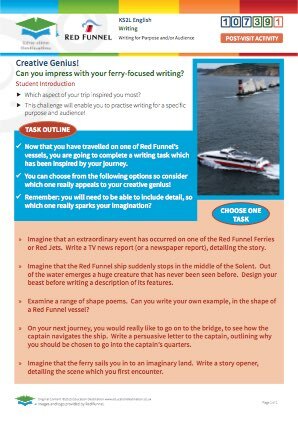 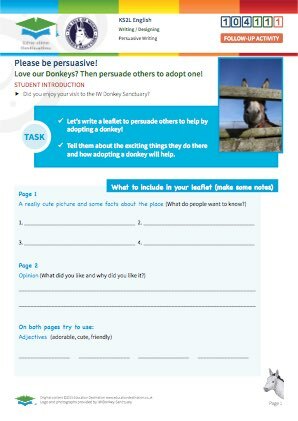 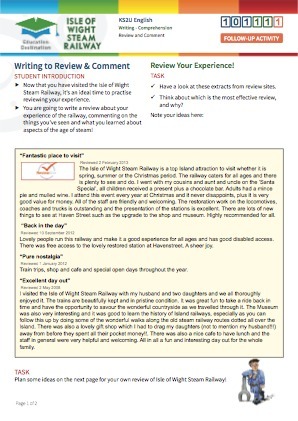 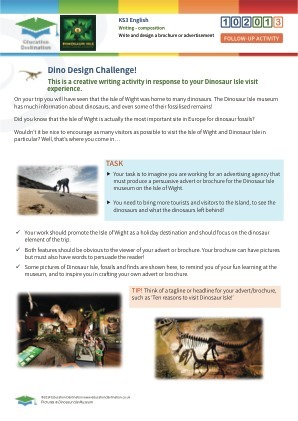 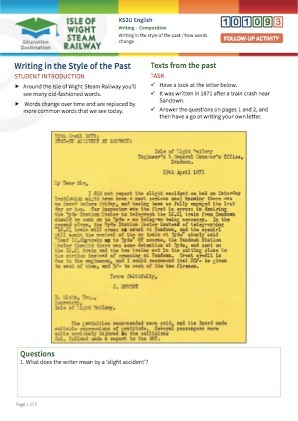 redfunnel.com offers further examples of tourist attraction writing in addition to the ones listed on the lesson plan). 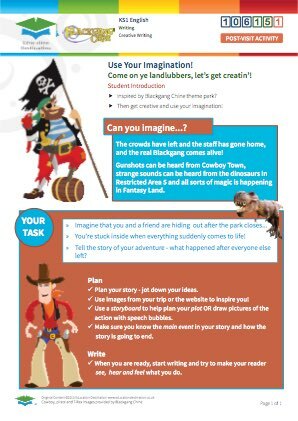 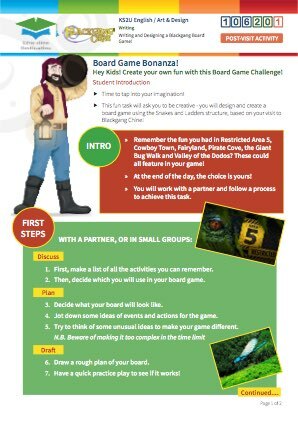 This resource is designed to provide children with an enriched experience as they will be responding to their visit in a creative way. 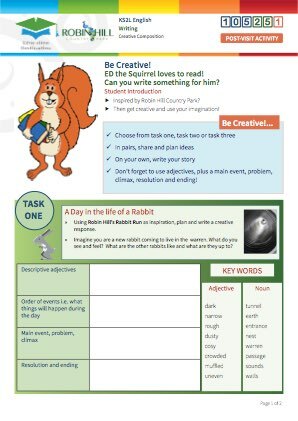 Writing for a specific audience/purpose. 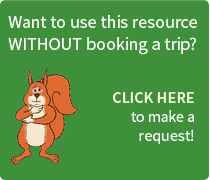 Understanding the conventions of tour guide books. 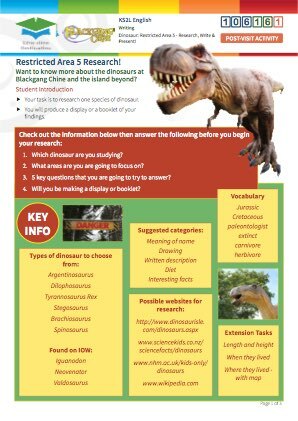 Students could study sample guide books / brochure pages aimed at children to understand key features and conventions. 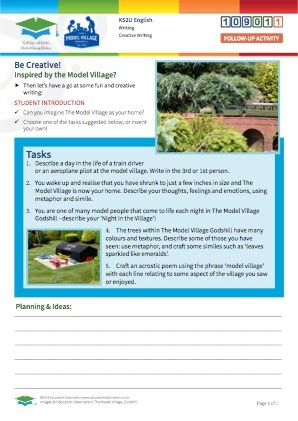 Students enjoy the park activities. 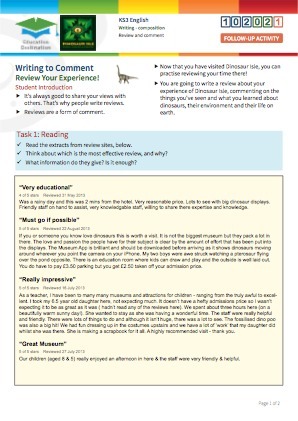 Students will demonstrate their writing skills. They will demonstrate their skills of using ICT to present their work. 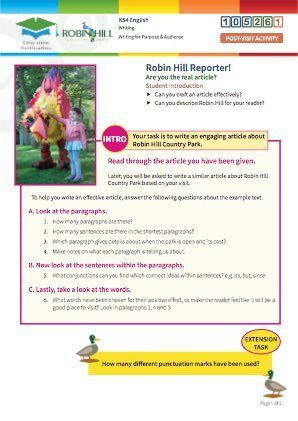 They will produce an effective piece of written work that achieves its purpose in terms of audience and intended outcomes.